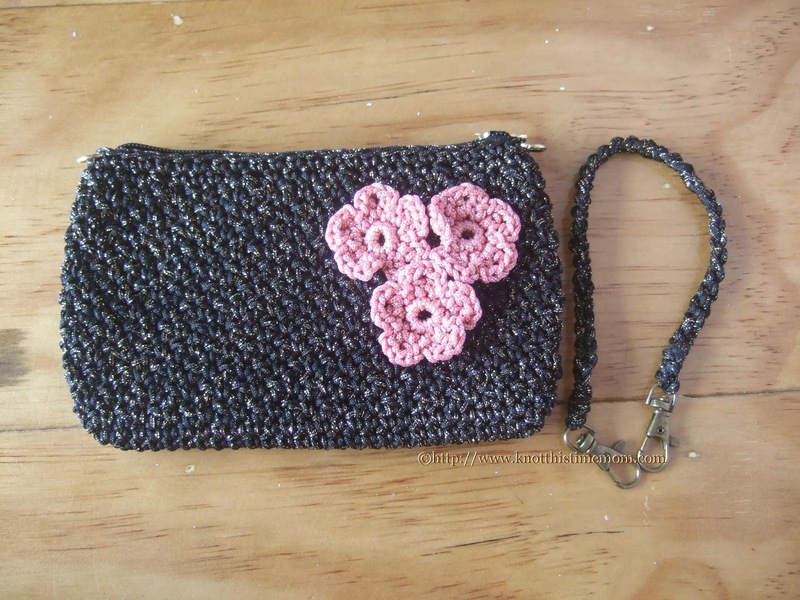 This purse can be used in three ways: a wristlet purse, clutch or a simple mini handbag. 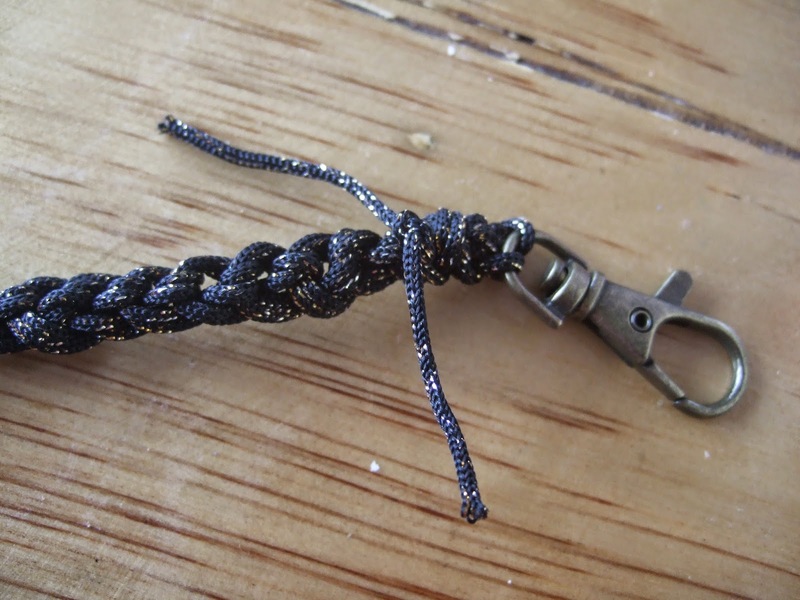 The shimmer of the cord makes this a very special accessory and elegant. 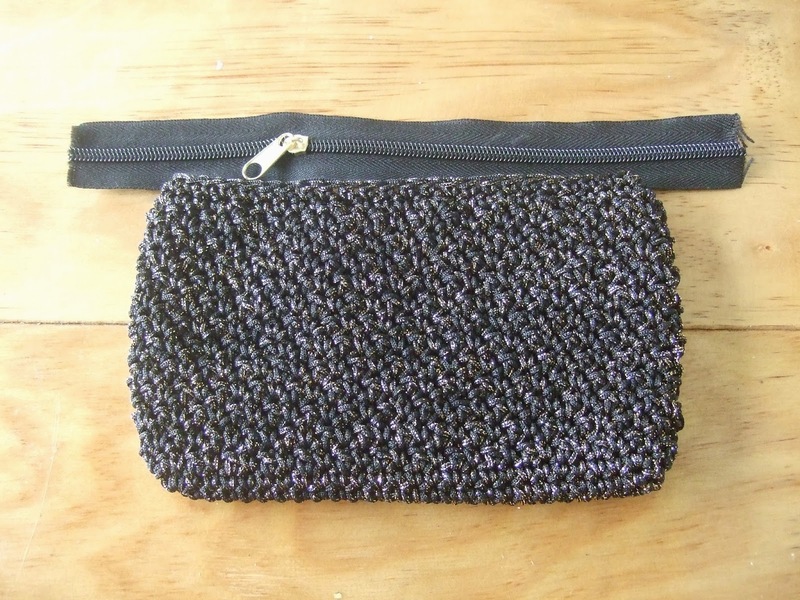 Note: You can also use any kind of yarn and adjust the size by adding stitches at the base of the purse. 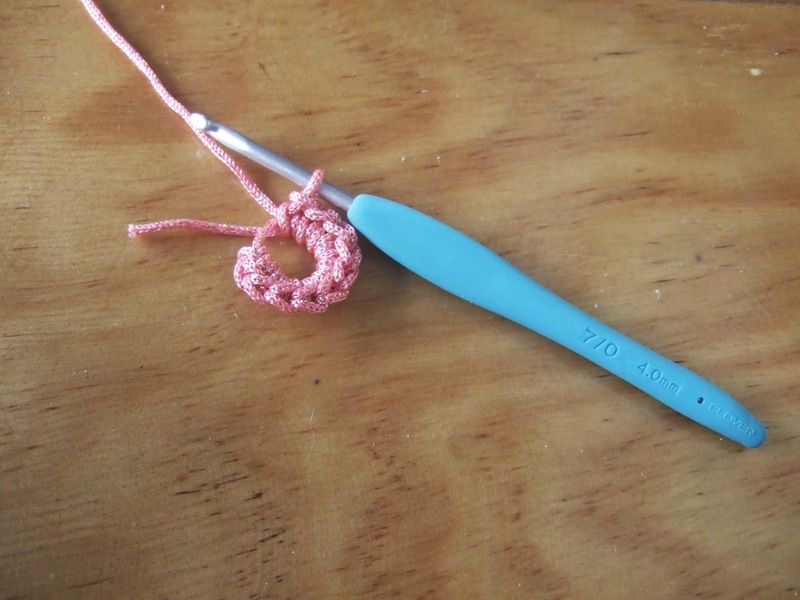 Round 1: Using 4mm hook, ch 29. 2 sc in 2nd ch from hook. Sc into next 26 chains. 3 sc in last ch. Working on the other side, sc into the remaining stitches until end. Sl st to join. Round 2: Ch 1. 2 sc in same st, 2 sc in next. Sc in next 26 sts, 2 sc in next 3 sts, sc in next 26 sts, 2 sc in last st. Sl st to join. Round 3: Ch 1, sc in same st, dc in next st. *Sc in next st, dc in next. ** Repeat * - ** until end. Join. Round 4: Ch 3 (first dc made), sc in next st. *Dc in next st, sc in next** Repeat * - ** until end. Join with a slip st to top of first dc. Round 5 - 12: Repeat 3 and 4. Round 13. 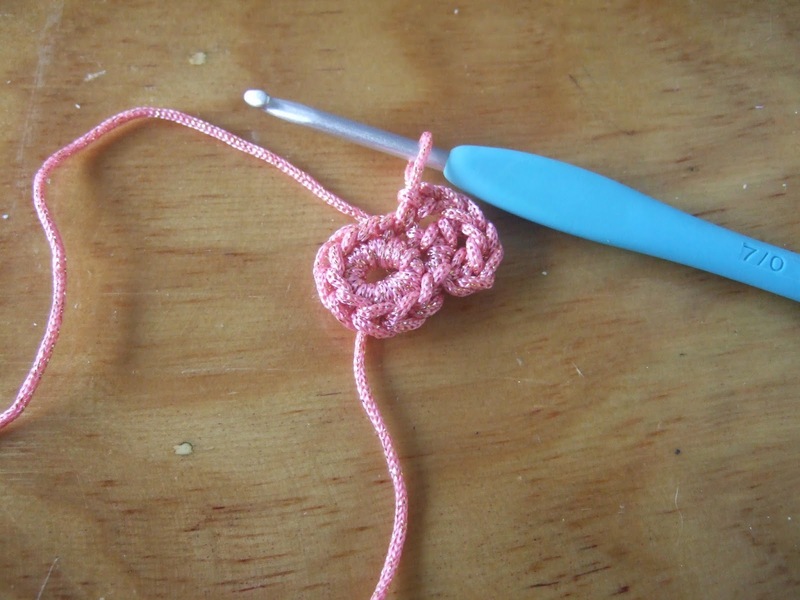 Ch 1, sc in same stitch, sc 4, sk next st. *Sc 5, skip next st.** Repeat * - ** until end. Join. Round 14. Ch 1, sc in same st, sc across. Join. Fasten off. 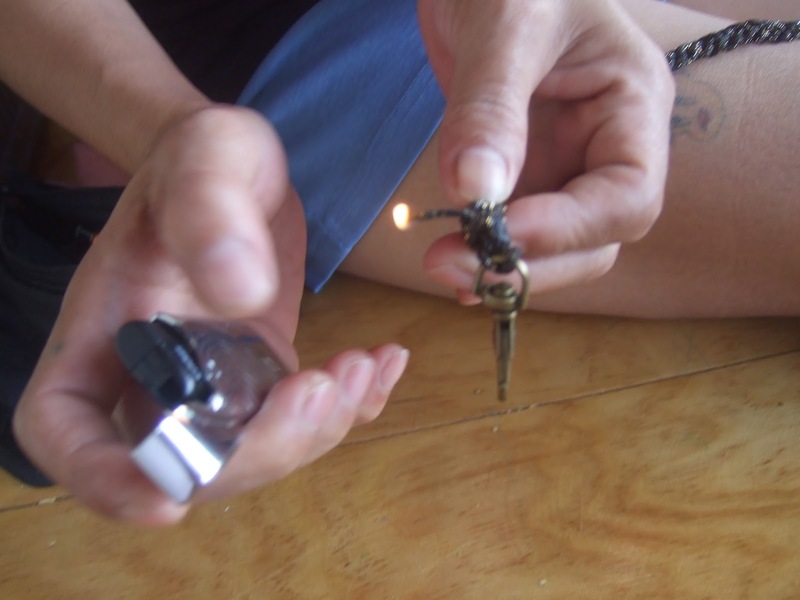 Using a lighter, slightly burn the tip of the cord to secure. Round 1: Make a magic ring. Ch 1, sc 10 on ring. Sl st to first sc. Round 2: Ch 2. Dc 2 in same st. Ch 2, sl st to next sc. *Ch 2, dc 2 in next st, ch 2, sl st to next st.** Repeat until end. Fasten off and trim excess cord. 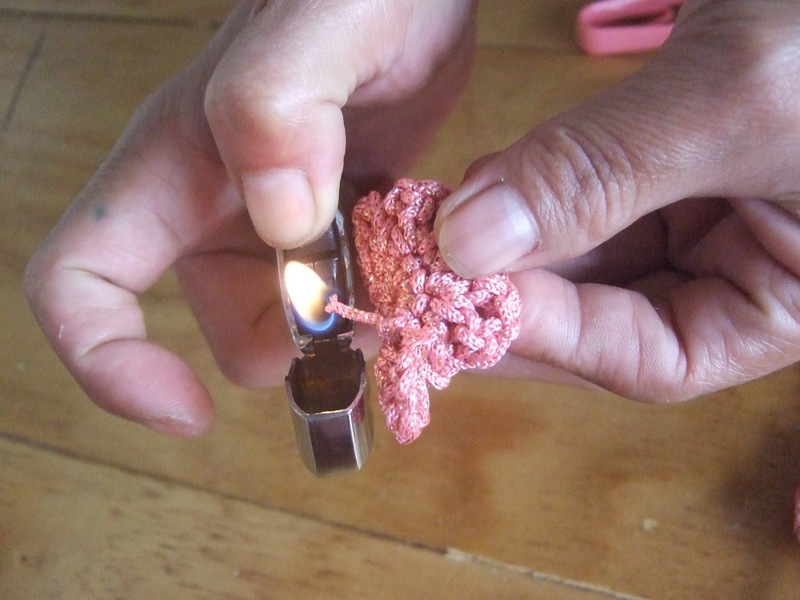 Using a lighter, slightly burn the tip of the cord to secure. Be sure to turn off the fire immediately. 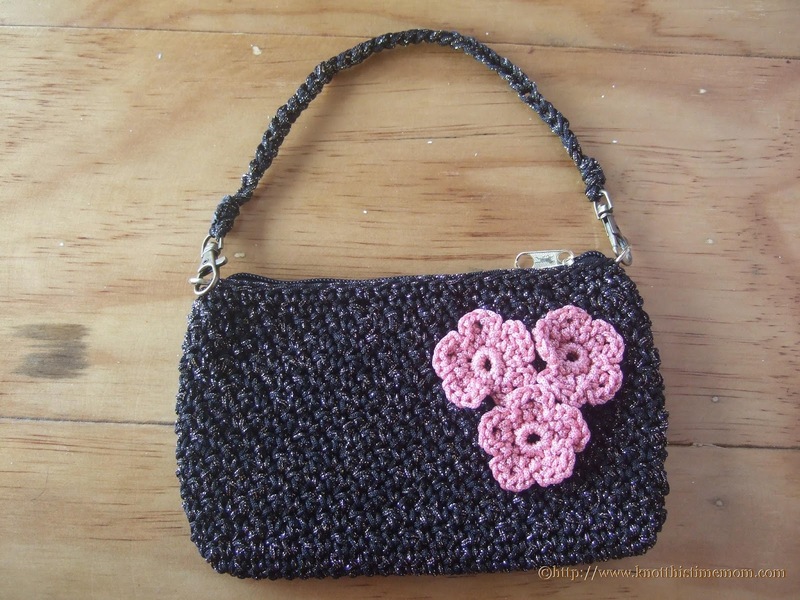 Attach the flowers to the purse. 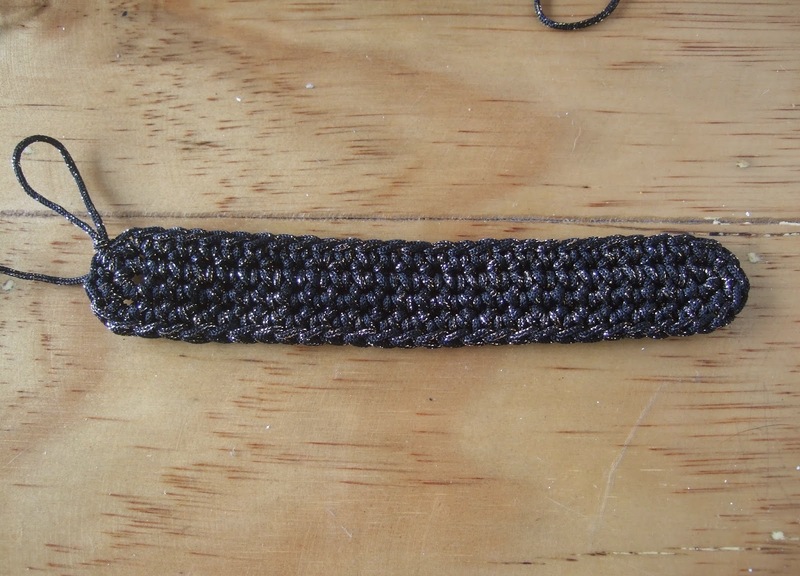 Strap: Using double strand, chain 36. Leave about 3 inches at both ends. Place the jumprings on both sides of the purse. 1. 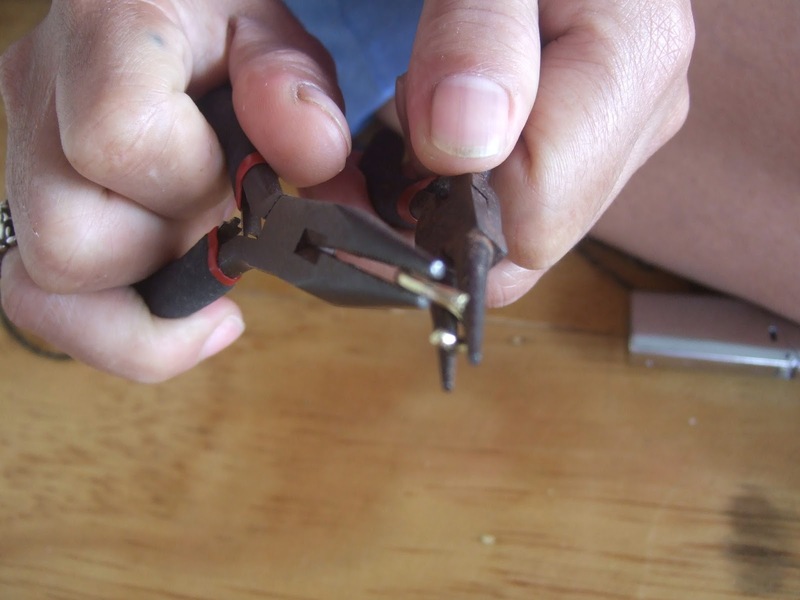 Open jumpring by gripping on other sides using pliers. Twist. 2. 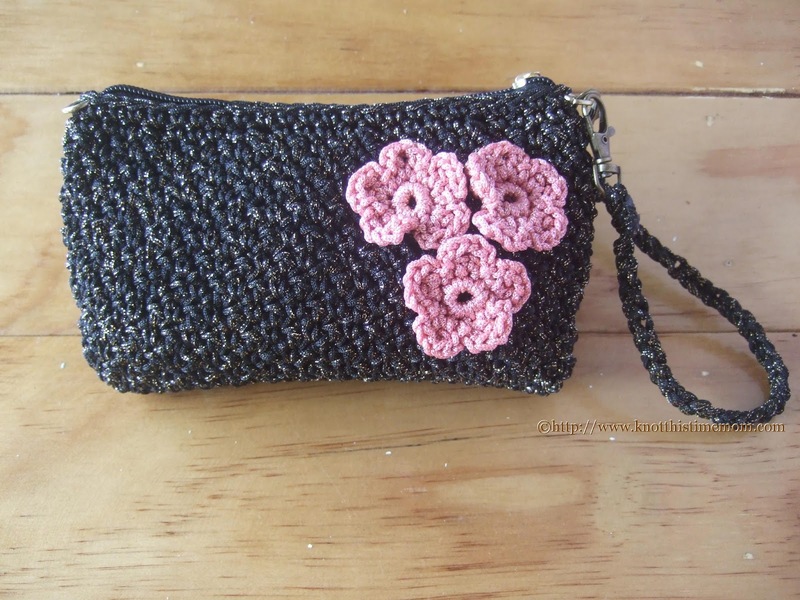 Insert jumpring on a stitch at the side of the purse. Do the same at the other side. 3. Grip both sides of the opening as step 1 and twist it shut. Now, take the strap and insert each end to the lock. 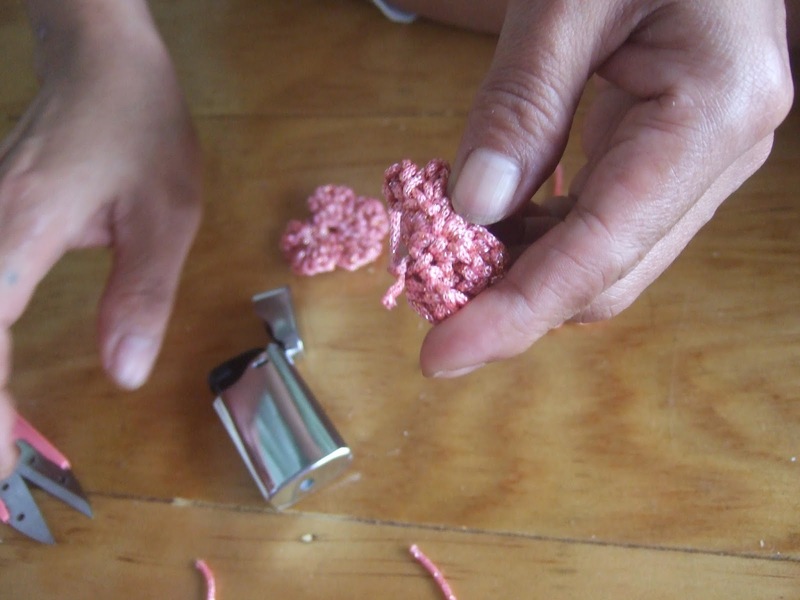 Wrap it a few times before tying.